Cons: Even after you discount his production due to playing in the pass happy Big Sky Conference and entering the next level at 24 years old, there are some concerns. Kupp is not a fluid athlete (changing directions makes one more able to avoid getting tackled), is more quick than fast (will have a hard time running away from most defensive backs), rounds off routes, has some body catching issues, and didn’t get much separation against defensive backs in his conference (how will that look at the next level?). I didn’t see him go against much press coverage either, which is the majority of what NFL defenses play. He also dealt with a left AC joint separation in his shoulder that limited him last season and didn’t always play whistle to whistle. 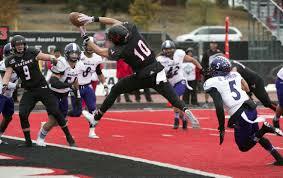 Pros: The first Pro that stands out is the volume he got at Eastern Washington. In each of his four seasons he caught at least 90 balls, 16 touchdowns and 1431 yards. He is a physical, outside receiver who likes to run crossing routes in the middle of the field. Kupp uses his body to shield the ball from defensive backs, then fights for first downs with stiff-arms and leg drive along with the occasional spin or hurdle. Although the wide out is a long strider, he can use a double move, get behind a defender, track the ball well in the air, and then adjust to poorly thrown passes without slowing down to make the difficult catch. The receiver is one of the best in his class to come down with 50/50 balls by out-leaping or hand-fighting the ball into his arms. Kupp makes impressive bucket or one-handed catches in the red zone that help to make him a good scoring threat in the red-zone. He comes back to help out his quarterback and uses his vision well on short screens to read his blockers. Overall impressions: Kupp has NFL talent, but may not be the superstar some of his supporters think he is. His physicality will give him the opportunity to play in this league, but his lack of quickness will probably limit him to lining up in the slot when his team runs three or four wide sets. On his best day he reminds me of the Eagles Jordan Matthews, but I believe he will be an adequate third receiver similar to the Jets Quincy Enunwa. If Kupp falls into a good landing spot, I’d look to draft him towards the middle or end of the second round of rookie drafts. « DE-Dawuane Smoot-Situational rusher or more?